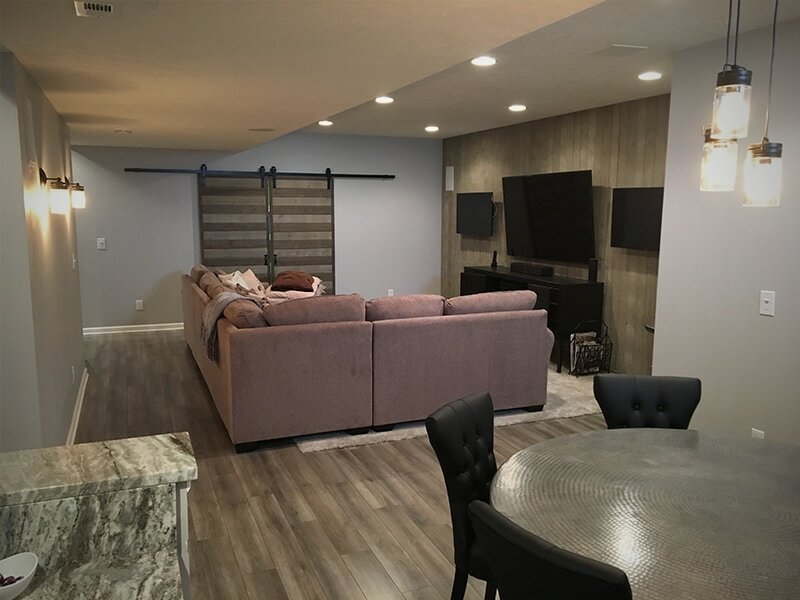 These Avon homeowners wanted to make use of their basement and hoped to create a living space that's perfect for entertaining their guests without feeling crowded. 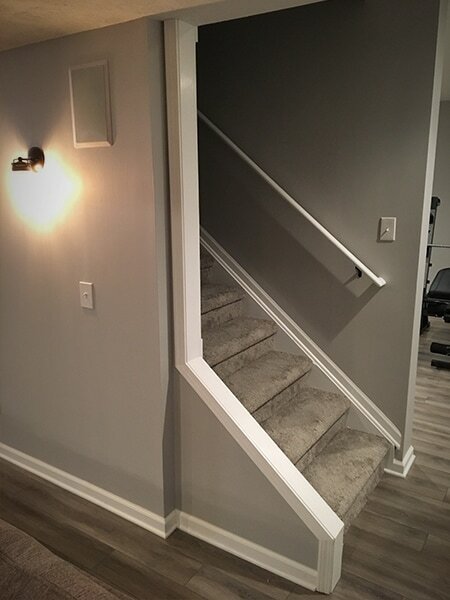 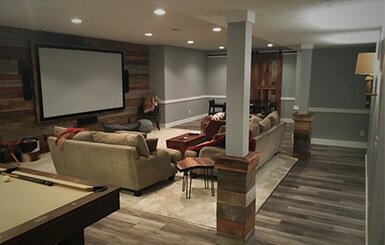 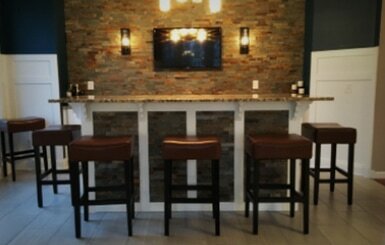 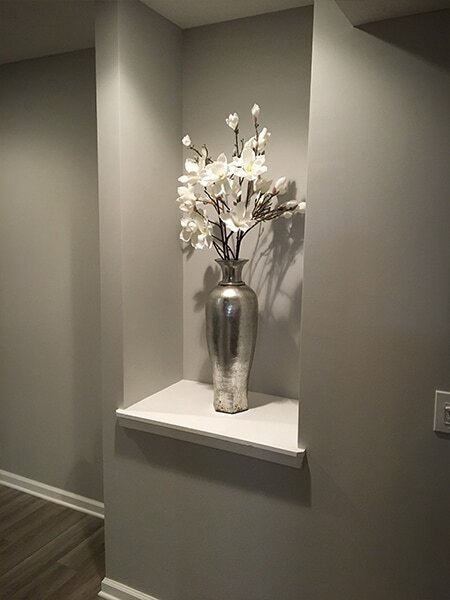 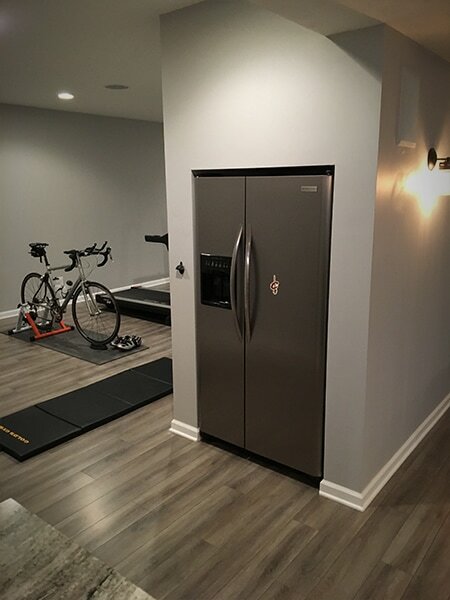 The homeowners wanted us to incorporate as much wood, or rustic pieces as possible in this basement remodel. 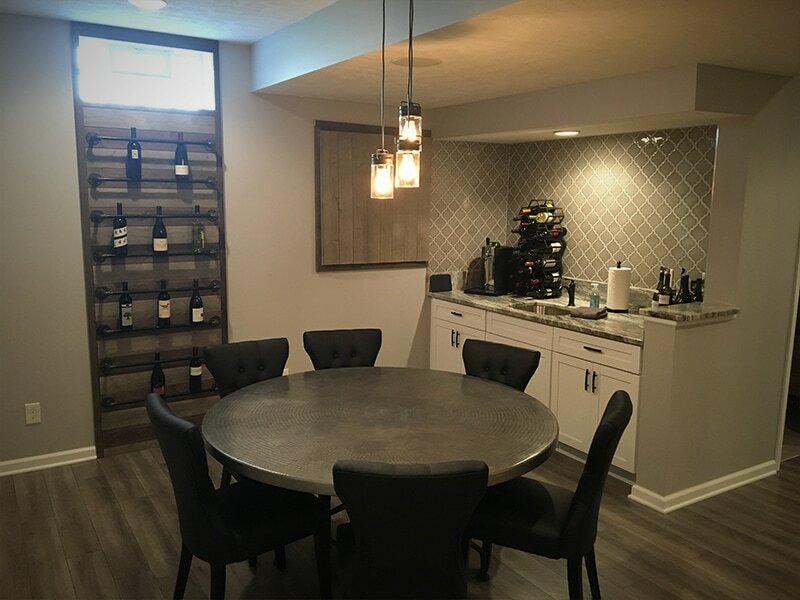 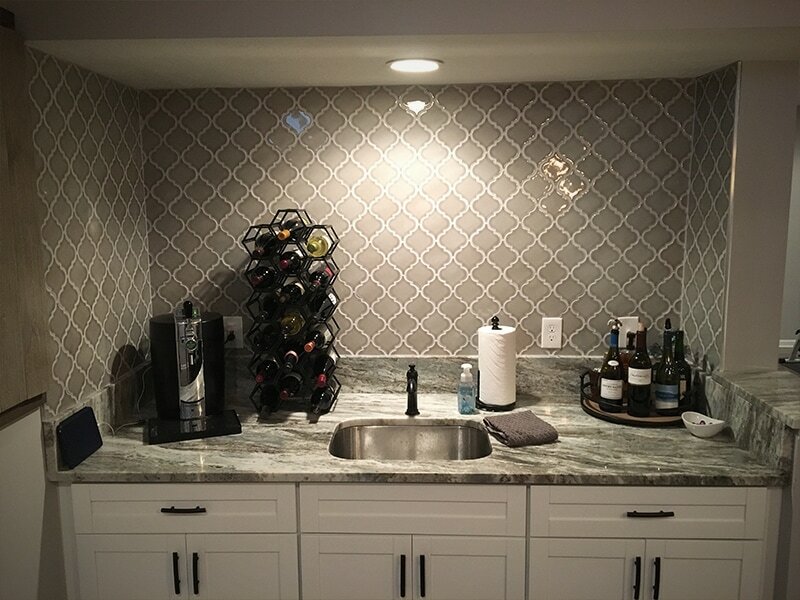 Choosing neutral colors for the walls and bar backsplash, we hoped to emphasize and draw attention to the wood items such as the flooring, television accent wall, and custom wine rack.